Oil Color: The color of rye whiskey. ITI: Well, it smells like a Saturday night to me – strong bourbon (high proof), followed by just a touch of sugar and a hint of slightly astringent greenness. I’m not sure about it as a daytime scent, but I suspect it might be good during the evening. Wet: The sugar is slightly stronger on my skin, but the bourbon is still somewhat assertive. Honestly, I get a hint of fougere that I wasn’t expecting. I’m certain it would smell amazing on a man. Dry: Much of the boozy-ness of the bourbon has burned off, leaving only the sweet tones of the sugar, the faintest impression of mint, and the smokey sweetness of of the libation. Scent Description and Notes: “Beholde, I will send swarmes of flies vpon thee, and vpon thy seruants, and vpon thy people, and into thy houses: and the houses of the Egyptians shall bee full of swarmes of flies, and also the ground whereon they are. And I will seuer in that day the lande of Goshen in which my people dwell, that no swarmes of flies shall be there, to the end thou maiest know that I am the Lord in the midst of the earth. And I will put a diuision betweene my people and thy people: to morrow shall this signe be. 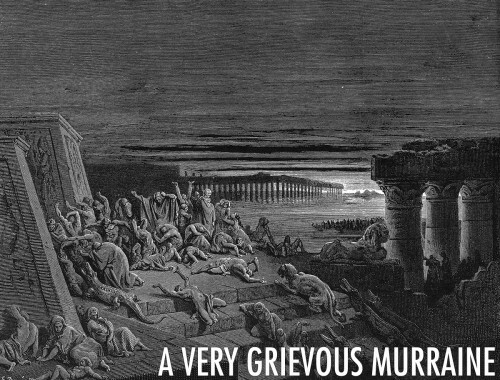 And the Lord did so: and there came a grieuous swarme of flies into the house of Pharaoh, and into his seruants houses, and into all the lande of Egypt: the land was corrupted by reason of the swarme of flies. Oil Color: A reddened copper. ITI: Whew, the black pepper is strong here, but the addition of cardamom and vetiver make it darkly aggressive and assertively spicy in a positive way. It reads as a bit masculine for now as I cannot detect the vanilla. Wet: The cardamom jumps out as the top note on my skin, fallowed by the smoky, almost inky vetiver. There’s a touch of black pepper, the three notes of which remind me of scored each; however, the addition of faint vanilla keeps the scent from being too desolate. In fact, as it starts to dry on my skin, the vanilla warms up, followed by a sweetened tobacco slinking in from around the edges, shifting the scent to something reminiscent of the best molasses cookie I’ve ever imagined (without the foody undertones). Dry: After 8 hours, I was expecting something still spicy and forceful. However, what I’m left with is mostly soft and alluring due to the faint vanilla, vetiver, and tobacco. The cardamom keeps the scent from being too innocent. Scent Description and Notes: “Behold, the hand of the Lord is vpon thy cattell which is in the field, vpon the horses, vpon the asses, vpon the camels, vpon the oxen, and vpon the sheepe: there shall be a very grieuous murraine. And the Lord shall seuer betweene the cattell of Israel, and the cattell of Egypt, and there shall nothing die of all that is the childrens of Israel. And the Lord appointed a set time, saying, To morrow the Lord shall doe this thing in the land. Oil Color: The color of a slightly older penny. ITI: I was expecting more leather to this scent. Instead, I’m met with comforting saffron set against myrrh and red musk. The leather is almost an after-note, succumbing to the warm tones of the musks and resin. Wet: It’s similar on my skin with a touch more leather, but there’s something that reminds me of a good root beer. Interesting. 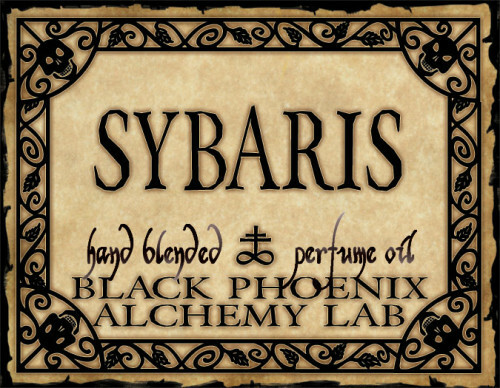 Dry: After a number of hours, the scent is dusty, the myrrh largely burned out, the leather certainly sun-baked. I get it now. What a brilliant progression! Scent Description and Notes: ‘Take to you handfuls of ashes of the fornace, and let Moses sprinkle it towards the heauen, in the sight of Pharaoh: And it shall become small dust in all the land of Egypt, and shall bee a boyle breaking forth with blaines, vpon man and vpon beast, throughout all the land of Egypt. 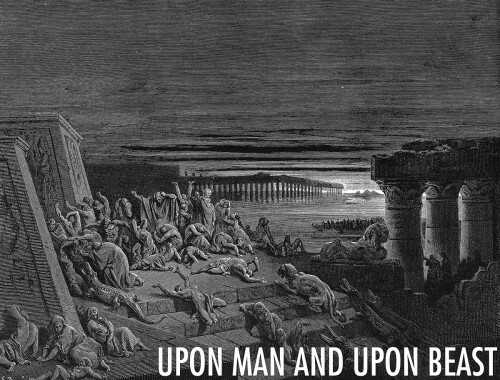 And they tooke ashes of the fornace, and stood before Pharaoh, and Moses sprinkled it vp toward heauen: and it became a boile breaking forth with blaines, vpon man and vpon beast. Oil Color: A coffee liquor color. ITI: The red cherry, sandalwood, patchouli and opoponax are all clearly evident in the vial, although the combination of the three remind me of a sweet Dragon’s Blood. I do wish the smokiness of the labdanum was a bit more evident because the scent is a bit too sweet for me as it stands. Wet: Ah, it’s much more resinous on on my skin, much less cherry, which I’m enjoying. The laudanum is now thick and pendulous, lending the sandalwood and patchouli a more ominous and foreboding tone. Dry: Ah, this is the thickly resinous scent for which I was hoping. Swaths of patchouli coil around the opoponax and sandalwood, woodsy and intoxicating. The cherry adds just a touch of sweet that keeps the scent from being entirely too earthy. Oil Color: A light ale color. 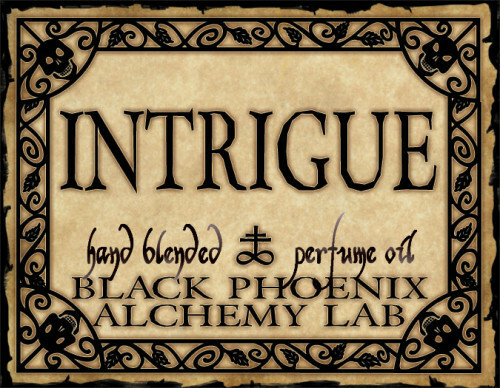 ITI: It’s a darkly alluring scent – luscious fig swirls around dark wood and faint coca. I’m intrigued, certainly. Wet: Hmm, the wood reminds me of teak, maybe ebony on my skin. Oddly enough, only the wood and the fig are immediately clear. As it starts to settle, I get a bit of coca, but the scent remains soft and pleasant. Dry: It’s faint when dried – slightly powdery, dusky and rose-like with light fig and a touch of palm. It’s decent, bu not compelling. Oil Color: A bright, buttery yellow. ITI: This really does strike me as a snooty rose. I picture an English rose surrounded by scented powder, mild tea, and lace doilies. Wet: I’m honestly surprised by how fruity this is on my skin. It’s like strawberries, soap, and faint rose on my skin; however, there’s a largely artificial tinge to everything that makes this scent a “pass” for me so far. Dry: The plum and red sandalwood still skew strawberry and soap, which is too bad because I wanted to like this. The rose is very light now that the scent has dried and the bergamot is non-existent. To the swap pile you go.